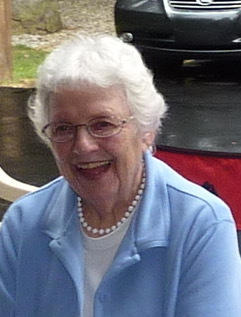 Obituary for Joan M (Bard) Bast | Edward J. Hildenbrand Funeral Home , Inc.
Joan M Bast passed away peacefully at age 92. She was the wife of Ray Bast, who predeceased her. Born in Maxatawny PA , she was the daughter of Ralph and Ruth Bard. She lived as a youth in Kutztown, but graduated from Stroudsburg HS. She was active in the church and a volunteer at a hospital for many years. She was also a Cub Scout den mother for several years. She is survived by 3 sons-Roger (Fran) Bast, Steve (Sue) Bast and Gary (Debbie) Bast. She also has 11 grandchildren and 11 great grandchildren. Her surviving siblings are Ruth Gehris, Emsing Bard, Carol Heinley, and Ralph Bard Jr.; Wendell Bard predeceased her. Private graveside services and interment will be held at Fairview Cemetery Kutztown. In lieu of flowers, contributions can be made to the charity of your choice.